A trip to Thailand is usually about picture perfect tropical islands and all night parties for most travelers. This has made destinations like Phuket and Pattaya, bustling tourist spots, attracting over a million visitors annually. Images of their beautiful palm fringed beaches and turquoise blue waters adorn all our computer screens now. Their infamous party streets and tantalizing bars are stuff of legends. Thankfully, Thailand has more to offer though, than the pleasures of an idyllic beach life. One only needs to look to the north. The Northern province is a land of unhindered beauty, rich history, warm people and the best food in Thailand. While a secret by no means, this region is usually not on the tourist radar. 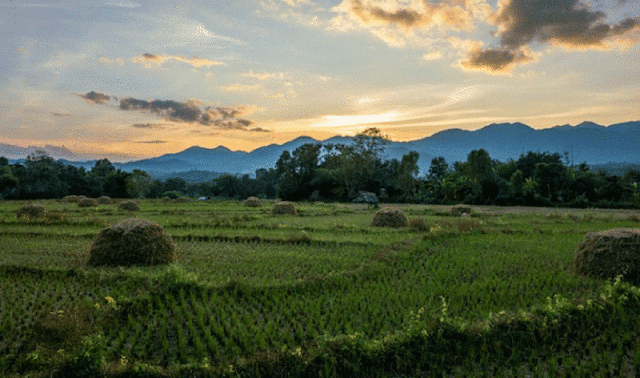 Only backpackers and travelers looking for an offbeat experience stumble upon the lanes of Chiang Mai, Chiang Rai and Pai – relatively, the most well-trodden places in the north. Chiang Mai is the largest province in the north and the ideal base to explore the region. It's a city which has embraced modernity while still retaining its quaint appeal. 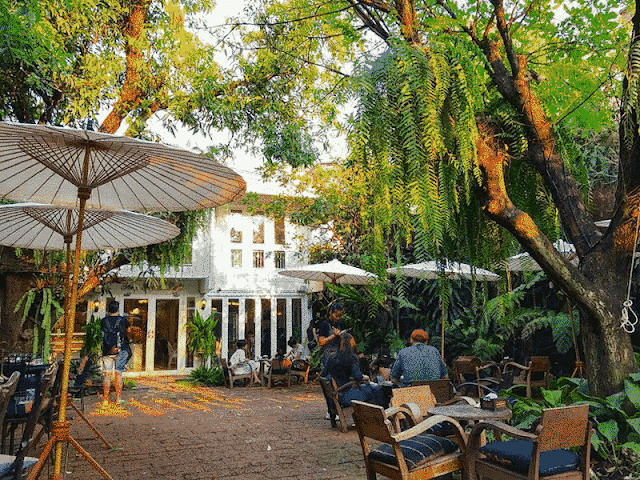 From fancy cafes and swanky hotels to mobile food stalls and ancient temples, it toggles on both ends of the spectrum. Pai on the other hand, is a small village nestled in the mountains, where you are most likely to find hippies sporting dreadlocks and smoking away to glory. The best way to soak up this place is to just ride on a bike and feel the countryside breeze. Chiang Rai is a town straddling borders with Myanmar, most famous for its indigenous hill tribes and exquisite temples. Although each of these places have their own distinct personality, they are commonly bound by friendly locals and stunning natural beauty. The landscape in the north is blessed with lush green rainforests, mist covered mountains, gushing waterfalls and massive caves. The terrain and its close proximity to national parks lends itself to tonnes of adventures like jungle trekking, ziplining, rock climbing and river rafting. Needless to say, the adventure junkies are spoilt for choice here. Even though all these activities are appealing, you would never feel like rushing from one to the next. The relaxed ambience, which is so intrinsic to the north, would make you want to just idle away in the company of nature. The northern region is the closest you can get to understanding Thailand’s rich culture and history. The north is in fact considered to be the birthplace of some of the earliest Thai-speaking kingdoms. It was earlier under Burmese control and even today, you can see remnants of that influence in the temple architecture and the cuisine. You only need to taste the region’s mind-blowing signature dish, Khao Suey, to detect the unmistakable Burmese touch. No trip here could ever be complete without savoring the local cuisine. 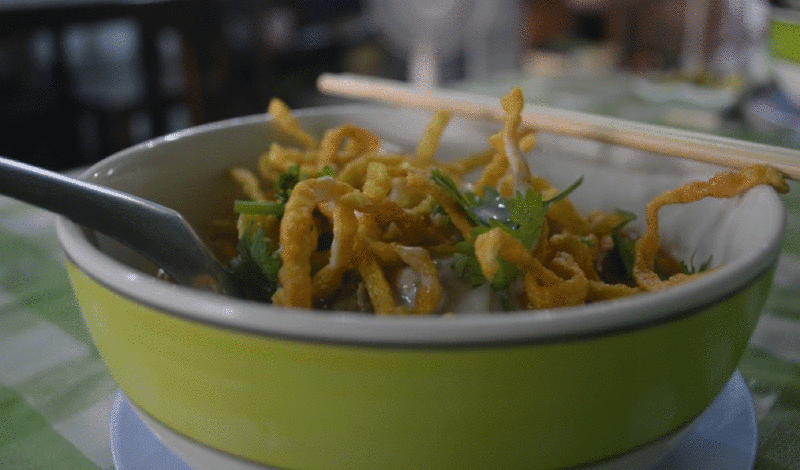 The street food in this part of the country will drive your palate into a frenzy. 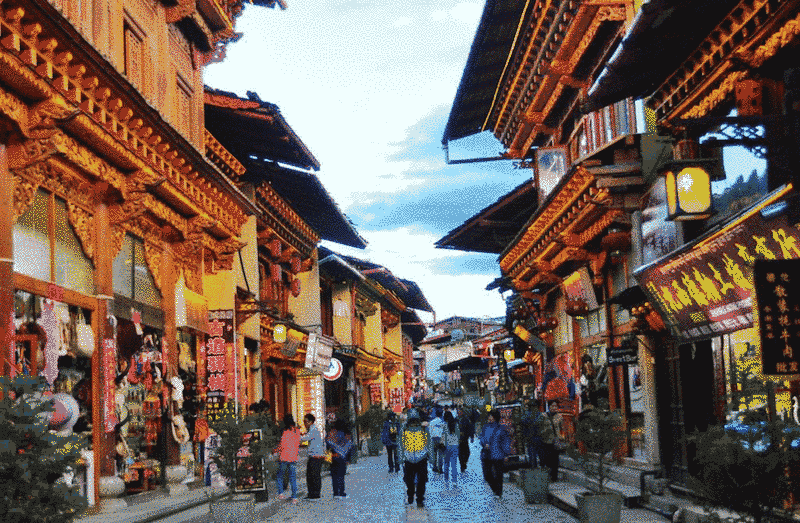 The cities here are home to some of the most beautiful Buddhist temples and shrines. 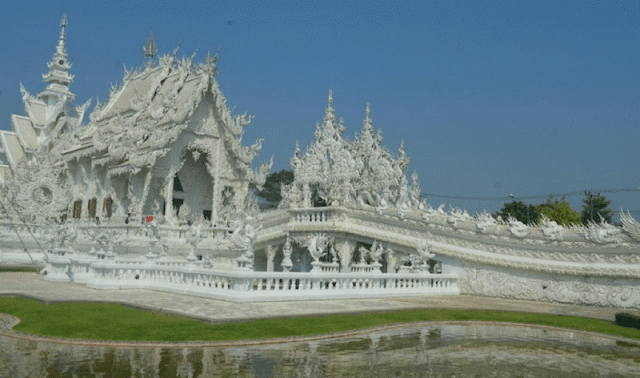 From the world famous white temple of Chiang Rai to Wat Phra That, located on a mountain in Chiang Mai, the temples will have you gaping at their elegant architecture. Some temples have monk chat programs, which you let you have a heart to heart conversation with a monk. This is the kind of local interaction you cannot have anywhere else in Thailand. It is authentic experiences like these which drive travelers to the north. Just walking along the streets will open the door to a wealth of local experiences – be it learning how to cook delicious Thai food, learning an intense martial art like Muay Thai, being an elephant trainer for a day or something as simple as haggling with locals at the night markets. The people here are some of the friendliest you will meet. They are genuine in their interactions and yes, unlike the rest of Thailand, there are no travel touts who will pester you to buy their tours. Northern Thailand is a beautiful place, sans the hype associated with the rest of the country. Its simplicity and old world charm will slowly but surely grow on you. Sadly, it doesn’t receive as many footfalls as the rest of Thailand. Travelers seem to find security in the familiar or just don’t want to try anything different. But if you keep an open mind and have the readiness to embrace new experiences, it’s a place which will stay with you long after you have left. Chiang Mai: It can be reached directly by flight from Bangkok or overnight bus/ train journey. Chiang Rai: It can be reached directly by flight from Bangkok. Alternatively, you can go to Chiang Mai and take a 3 hour bus ride to reach Chiang Rai. Pai: Pai can only be reached by bus from Chiang Mai. Got more questions about the North of Thailand? Talk to a Thailand trip planner on Ithaka and plan a kickass trip to Thailand.